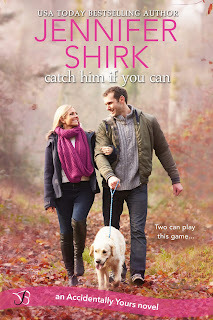 Author Jennifer Shirk's Me, My Muse and I: Catch Him if You Can is released today!!! Catch Him if You Can is released today!!! I'm so happy to announce that my latest book--Catch Him if You Can is finally released today! I just love Arden and Wade. They were a lot of fun to write. Sometimes characters can just take off by themselves and these two definitely did that. Hope you get to check it out for yourself!